Is the stock market gambling? That is a question that gets asked from time to time and when you buy a stock and it immediately goes down it sure seems like gambling. When you buy stocks, you can lose all your money. So, what then, is the difference between gambling and the stock market? Are the two really that much different? To have a lasting success in trading, capital preservation comes first, profits second. 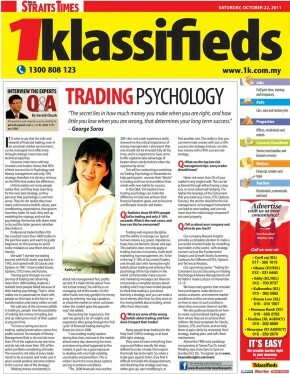 Founder of Beyond Insights Kathlyn Toh said Trading well requires discipline and ability to manage our typical human natures e.g. greed, impatience, hope, fear, excitement, denial, and ego.